Rinzai Hakone Zendo in Saratoga California presents: Introduction to zazen meditation. Come and learn and experience zazen meditation. This hour long presentation offers a preliminary overview to the experience of zazensitting meditation as practiced at Rinzai Hakone Zendo. 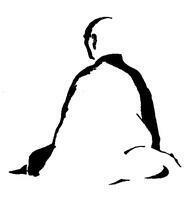 There will also be a brief practice time of doing zazen with Q&A to follow. Very glad to see Rev Ito today. He talked about “hanao mite hanao shiru”.